The Year 8 & 9 girls took part in a Maccabi Tournament on Wednesday 21st Nov at JFS playing against 6 other Secondary Schools. The Yr 9 team played 4 games winning 1, drawing 1, and losing 2. 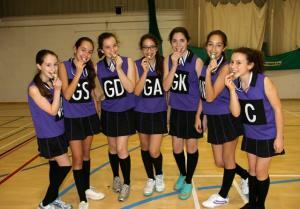 The Yr 8 team came home victorious, winning the tournament for their year group. They played 4 games, winning 2 and drawing 2. Congratulations to the team : Talia Friend, Tamar Lang, Rebecca Saunders, Indigo Smith, Sara Sclater, Isabelle Murray, Arabella Shifrin, Charlotte Gold.